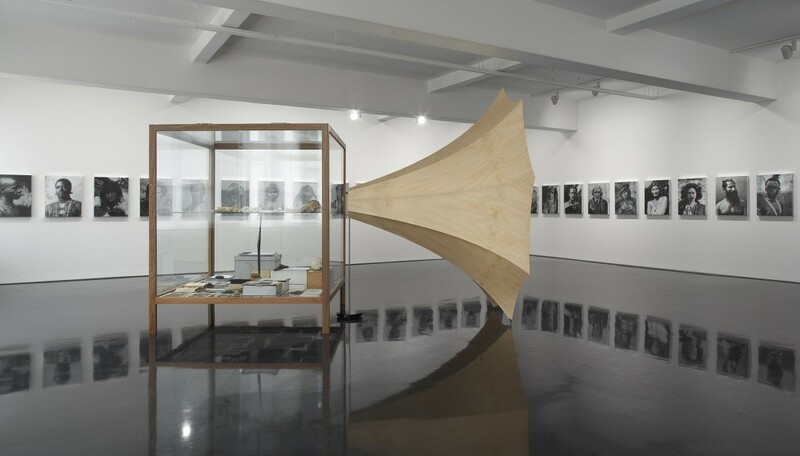 Brook Andrew, 52 Portrait, 2013, installation view Tolarno Galleries, Melbourne. Museums are my guilty pleasure. When we go on holiday, I am sure I drive my wife crazy wanting to spend all-day-every-day in museums. I say they are a guilty pleasure, because I completely recognise that museums embody all of the problematic features of western modernity. Critically mining the museum/archive is a pretty popular strategy among a current crop of young, urban based Indigenous artists in Australia (Brook Andrew, Christian Thompson, Danie Mellor et al). This is ostensibly the topic of Emily Cloney’s article in the recent edition of Artlink. 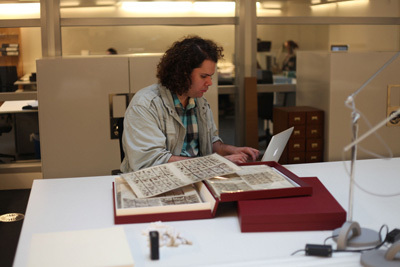 Christian Thompson working in the archives at the Pitt Rivers Museum, Oxford University. Hal Foster, “An Archival Impulse,” October 110 (Fall, 2004), 4. Foster is clearly celebrating a different kind of contemporary artist-as-archivist here, but I wonder if we can’t read him against the grain. Being “institutive” than “destructive,” more “legislative” than “transgressive” certainly runs counter to the kinds of critique envisaged by people like Andrew, Thompson or Mellor. 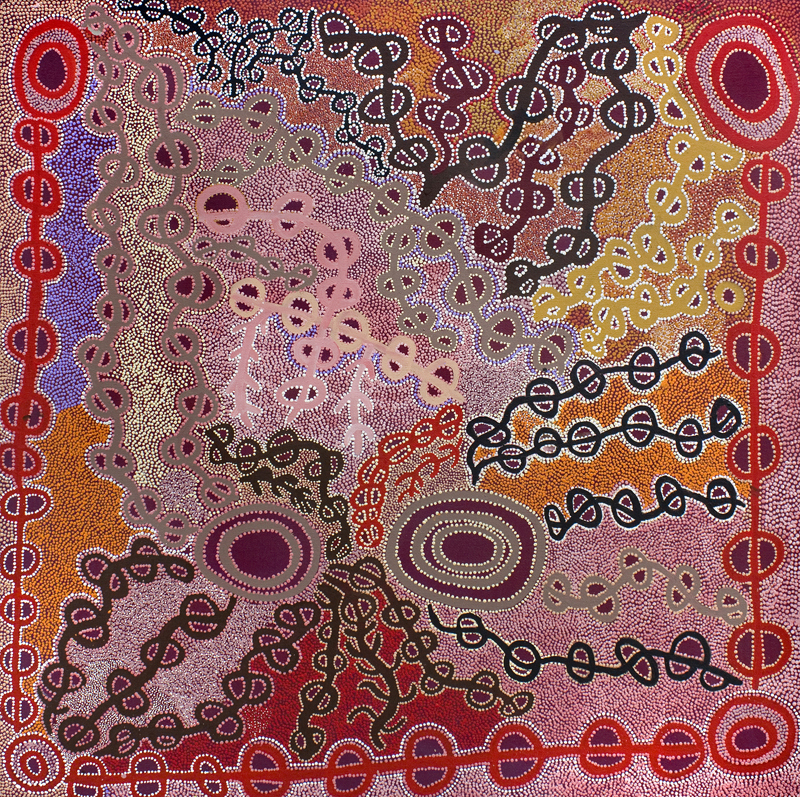 To me, it sounds more applicable to the work of Aboriginal painters in Arnhem Land, the Kimberley or the Central Desert, whose works consist of a vast repository of deeply felt experiences, registered in a palimpsest of historical meaning. In this sense, the diagnosis does not establish the fact of our identity by the play of distinctions. It establishes that we are difference, that our reason is the difference of discourses, our history the difference of times, our selves the difference of masks. Michel Foucault, The Archaeology of Knowledge, A.M. Sheridan Smith, trans. (New York: Pantheon Books, 1972), Part III, Ch.4.